What else we can do to naturally boost our energy? I am so excited for this weekend as Maple & Fitz has a new sibling in town – Maple & CNM. 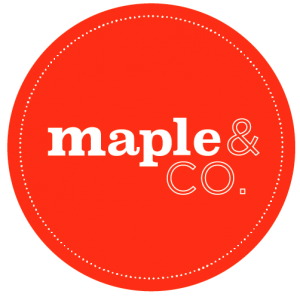 I’ve had the pleasure of coming in as a guest speaker at the College of Naturopathic Medicine (CNM) and now we will be serving Maple food at their brand new shiny school in King’s Cross. CNM is the UK’s largest training provider of natural therapies and believe in what we believe in at Maple, which is that good nutrition is fundamental to health. Following our feature recently on Sunday Brunch about Energising Foods, the experts at the CNM tell us more about boosting energy naturally. Try these DIY tips from my guest blogger, CNM. Everyone gets tired. More often than not a few early nights puts things right. If you are feeling tired or flat all the time, however, and even routine daily tasks feel like a big effort, you may need to look at your diet and habits. Of course we already know that smoking and significant alcohol consumption are not good for your health, so get help to quit if these are a part of your life you’d rather do without! We are affected, too, by environmental pollution ranging from electro-magnetic radiation from our increasingly hi-tech lives, to traffic and industrial pollutants in the air we breathe. Cut down on your constant use of technology, and get outdoors for a walk in the park instead. Stress is always debilitating, so identify and address causes so that your health is not sabotaged. Do some exercise each day. A walk in the park at lunchtime is a good start or use the stairs instead of the escalator in the tube! At night, institute a ‘winding down’ process which excludes screens (Netflix!) and might involve listening to relaxing music or reading a book. Be strict about regular sleeping hours, and remove communication devices and other distractions from your bedroom. If you need a great excuse to take a relaxing 20-30 minute bath in Epsom Salts a couple of times per week, it’s that you can top up your levels of magnesium, an essential mineral for energy production. Make sure that your mattress and pillows are comfortable, and that temperature and ventilation are good in your bedroom. A sprinkle of lavender essential oil on your pillow can help induce feelings of relaxation. Look carefully at the chemicals contained in your personal care products, from shampoo to face products, to sunscreen, and opt for natural versions to keep the toxins you ingest to a minimum. Our bodies can be put under severe stress from a less than wholesome diet. Eating a wide range of predominantly plant-based wholefoods, organic where possible, is the ideal. Plant compounds can manipulate how our bodies function, so make sure you get enough of them. Increasing your intake of veg to at least 8 portions a day can help meet your daily needs of key helpers, such as B vitamins, magnesium and vitamin C levels, co-factors to make sure that your protein intake is used efficiently. Make sure that your protein intake is sufficient. Protein is essential for every single cell in the body, including the production of your sleep hormone, melatonin. If you are vegetarian, your protein can come from nuts and seeds, pulses, legumes, quinoa and sprouted seeds and beans. Keeping blood sugar well balanced throughout the day with meals that contain protein and healthy fats as well as carbohydrates can make a real difference to our energy levels over the course of the day. To combat sugar cravings, take half a teaspoon of cinnamon when you get the urge for something sweet or starchy. A handful of nuts is a much healthier source of fast energy than sugary treats. Even mild dehydration can cause us to feel below par. Aim to drink 2 litres of clean water a day. To increase hydration at the cellular level, add a little cucumber or celery to your jug of water, and sip throughout the day. For some people, unexplained fatigue continues no matter how much rest is taken. If underlying health problems have been ruled out, a naturopathic nutritional therapist can help you identify any food intolerances or nutritional imbalances which may be contributing to your tiredness. If so, there are many nutritional approaches which can help. Acupuncture and herbal medicine are also useful therapies to help you relax and re-balance. Happy 2017 and we hope these tips help! Next Post Help us win the fight against WASTE!